Dino is giving you a HUGE deposit bonus! 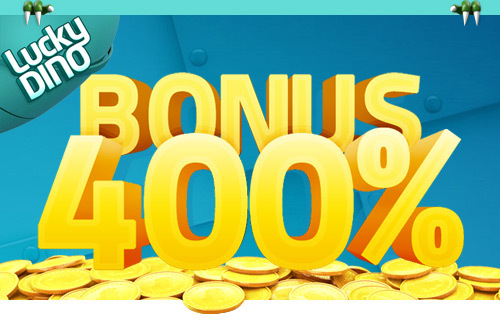 Make your first deposit between 25th and 28th July and you will get a whopping 400% EXTRA deposit bonus to play with. During this period the minimum deposit is only €10 and minimum withdraw €20. A maximum bonus amount is €40, maximum win with this bonus is €500 and bonus money is valid for 3 days. 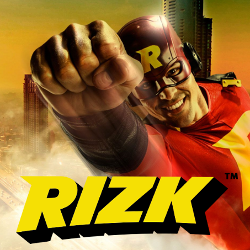 Don’t forget that you will have 20 no-deposit free spins right after account registration. These welcoming free spins holds no wagering requirements or capped withdrawal amounts. Just open any of the following games and enjoy; Starburst, Stickers, Spinata Grande, Gonzo’s Quest, Tornado. 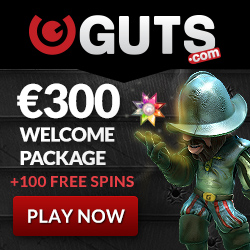 Register an account now, grab up the free spins and claim stupidly BIG deposit bonus!